2018 was a very surprising year. It was the year that my Mother chose on a higher level, to leave this world. She passed within a fast time frame, which suited her character which was always very intense. She was an all or nothing person. The previous years had been very hard on her. 5 years earlier she lost my Father, who passed away peacefully at age 88. 18 months ago she lost her Mother, my Grandmother, and I believe that a big part of her wished to join them both. This is the first time that I have ever had circumstances that did not allow any time for daily meditation. I am now better versed than ever before about the benefits of meditation. 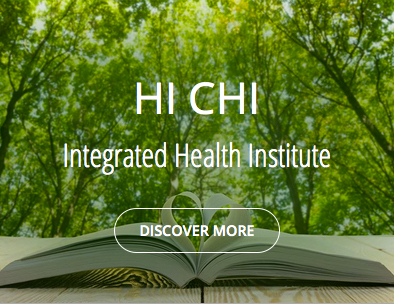 My own journey back to my highest state of being, began through the re-engagement of my Hi Chi meditation practice. A daily session of Rest & Repair has literally vivified my mind, body & spirit. It has allowed me to see a much bigger picture of what my Mother’s soul truly wanted and to surrender to the Divine. This experience has taught me the true meaning of letting go of attachment to what I think is best. Since my Mother passed away I have delivered some free Hi Chi workshops in diverse communities where it is needed, to elevate her soul. In these 2 hour classes, I have taught how to meditate and achieve a state of relaxation. I have also put a free Hi Chi meditation on youtube so that people can experience a taste of the beauty that happens to us when we surrender with gratitude. It has been immensely rewarding to receive emails from people telling me that they have slept deeply for the first time in years, their pain has gone after daily listening and all sorts of wonderful effects. My Mother taught me how to go for my dreams and how to have the faith needed to be a vessel to receive them. She used to say to me that I had more Faith than anyone she knew. I only have that faith because she taught me that boundaries were invisible and that the only borders that exist are in our mind. Perhaps it was because she escaped under duress from an oppressive regime at age 11, and journeyed illegally through many countries borders into safety, that she knew how to move through them effortlessly. She was a total renegade. She taught me to be my own authority and to stand up for what is right in life. She was so proud of my journey into healing and she supported it wholeheartedly. She used to laugh and tell me I was totally crazy when I would tell her my utopian ideals. Yet she agreed with every one of them. She was bold, brave and beautiful. I will honour her memory by living each day as fully as possible, living with as much of a state of freedom as can be and helping as many other human beings as I can. My Mother continues to be a leading light in my life. The experiences with her in 2018 have taught me so much more about the 100% vital importance of a daily meditation practice for a healthy mind, body and spirit. Welcoming it back into my life was literally like gliding back into my own inner light. May her soul continue to elevate to the highest heights and may each act of healing kindness that happens in the merit of anything I teach, illuminate her. 2019 is about igniting this as much as possible. I thank each of you for being part of the light in my life!